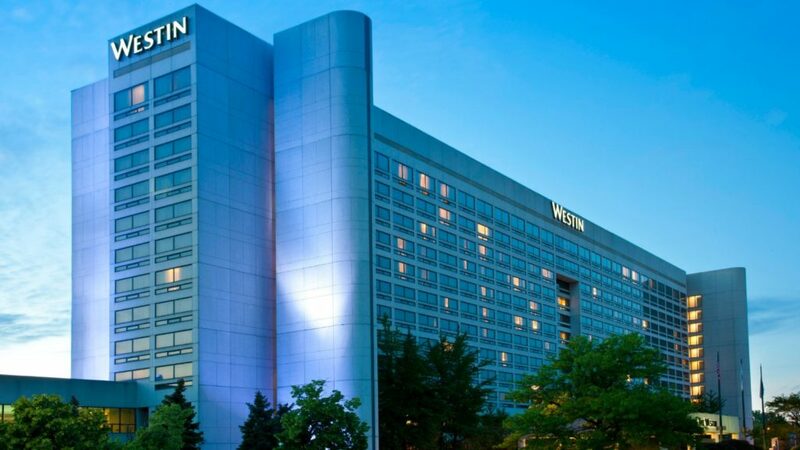 The Westin O’Hare welcomes travelers with spacious accommodations, smart hotel amenities and an excellent location moments from Chicago O’Hare Airport. Submitted photo. A: My name is Keith “K.C.” KoKoruz, 48, Entertainment Production Company Owner and I live in Chicago, Illinois. Q: What exactly is The Marquee Show? A: The Marquee Show is a business conference for DJ and photo booth company owners who want to grow their business. The event is July 9-11, 2018 at the Westin O’Hare Hotel in Chicago, Illinois. Q: How did you get involved in The Marquee Show? A: I got tired of seeing the same people speaking at all of the DJ shows speaking on the same subjects that have been covered to death by each other. I got tired of listening to attendees complain about the quality of the seminars, the host hotel, the parties, etc. so I decided it was time for some outside of the box thinking and decided to produce a show that I would want to attend. Q: What other sponsors are in the show besides NAME? A: Alan Berg, American Disc Jockey Association, Breakthrough Marketing, Curator, Dark Room, DigiGames, Disc Jockey News, Dj Event Planner, Dj Intelligence, Floyd Rose Audio, Foto Master, Imaging Spectrum, Max Photo Booth Design, Midwest Djs Live, Mitsubishi, Photo Booth Association, Photo Booth Expo, Pro Gobo Inc., Promo Only, Ring Roamer, The Brand Booth, The Knot, & Vibo. Q: How can you sign up for The Marquee Show? A: Visit the website at www.MarqueeShow.com and use promo code NAME to save $50 on your show pass. Q: Why should people go to The Marquee Show? A: People who are serious about wanting to improve their business should attend this show. We have 21 seminars over the course of three days. Our presenters include Adam Weitz, Alan Berg, Andy Ebon, Anja Winikka, Bernadette Smith, Bill Vahrenkamp, Brian Buonassissi, Catherine Johns, Chris Meyer, Donnie Lewis, Emily Washcovick, Eric Wenning, John Murphy, Keith “K.C.” KoKoruz, Matt Radicelli, Matt Windsor, Michael Cerbelli, Scott Faver, Rob Johnson, and Steve Bowen.